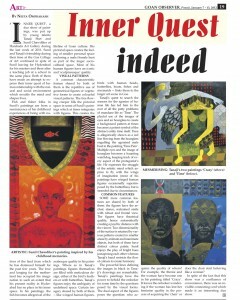 You will find interesting article written by Neeta Omprakash who is working for Goan Observer. 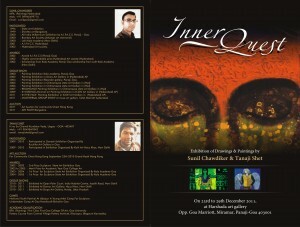 “Inner quest ” was a two-man show held at Harshada art gallery – Panaji, Goa. You will find more details on this brochure itself.